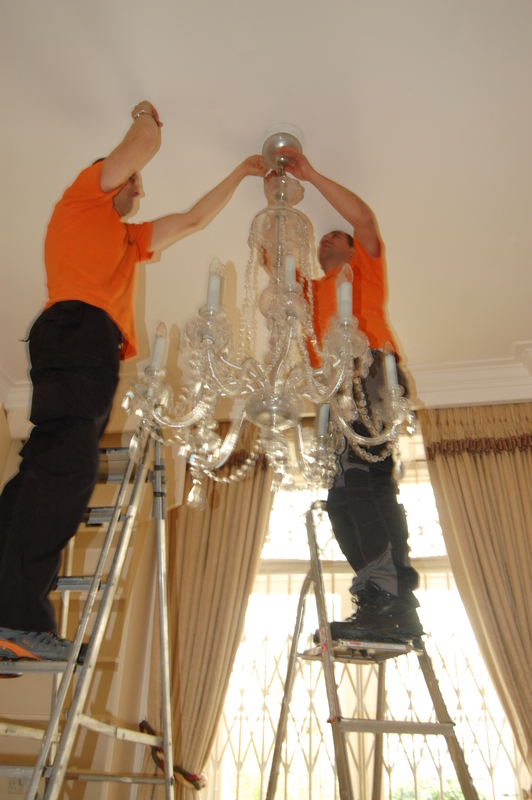 Packing a crystal chandelier is not a simple task, it requires professional movers and custom made wooden boxes to transport it. Therefore, it should not be left for last minute, and movers must be notify in advance. 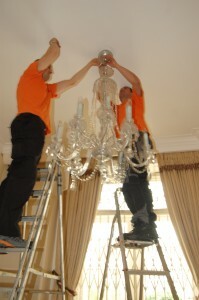 Normally done on packaging day, our movers remove chandelier from the ceiling, and place it hanging inside the wooden box.